Although I am known as The Keeper of Archaeology I look after our collections of Ethnographic objects and Coins as well as Archaeology. Our recent task of packing up and moving our collections has meant that we have handled thousands of objects of all different shapes, sizes and more crucially weight .This work has certainly been a challenge both mentally and physically but there has been an exciting and rewarding up- side to the job too. Moving our collections off-site has been a brilliant opportunity to reacquaint ourselves with a wide variety of objects. Many of our larger, freestanding items sited around the museum have been on display for many years and have become so familiar that it has been all too easy to not take the time to look at them closely. 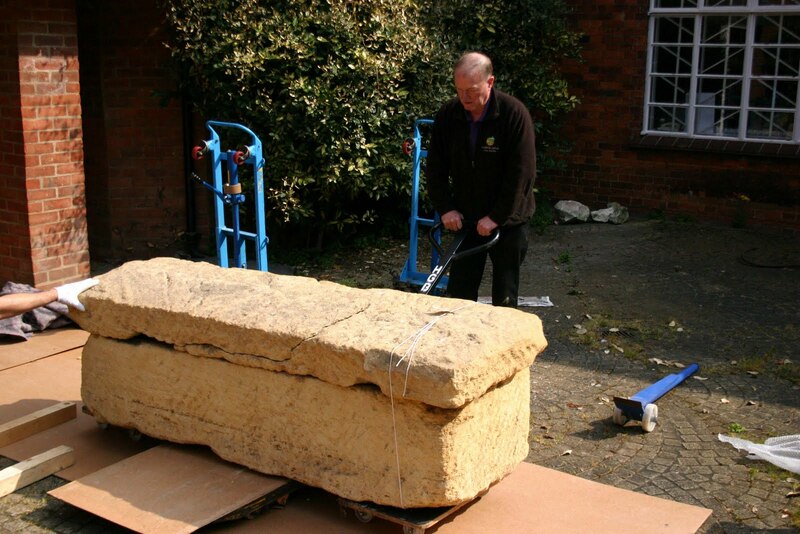 One such item is the large stone Sarcophagus dating to Roman times which used to be on display outside under cover by the main door into the museum. The first thing to do was to find out what the size of the problem was going to be. 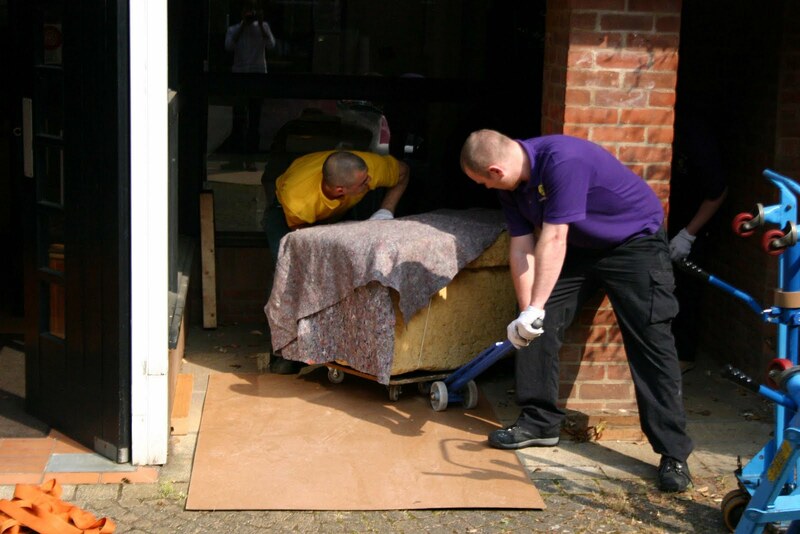 The sarcophagus is 2m long, 50cm high and 60cm wide and it's estimated weight is 1 tonne!!! 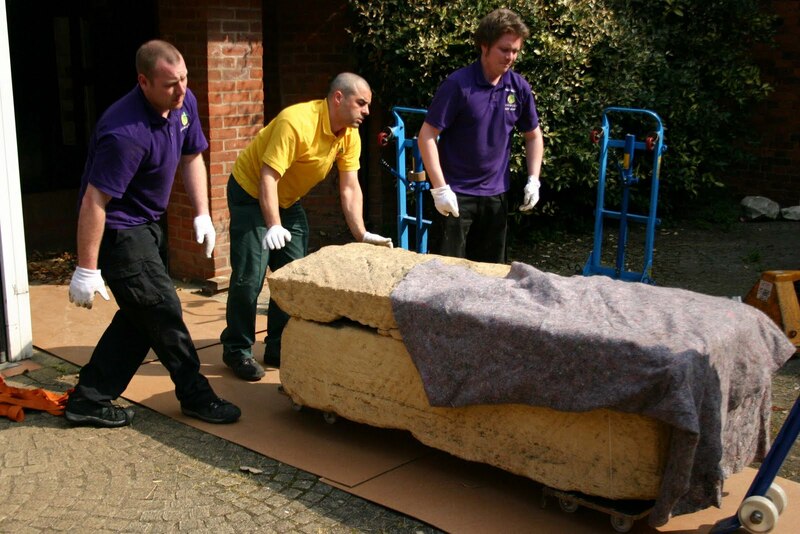 It was pretty obvious that moving the sarcophagus safely would require expert skills. 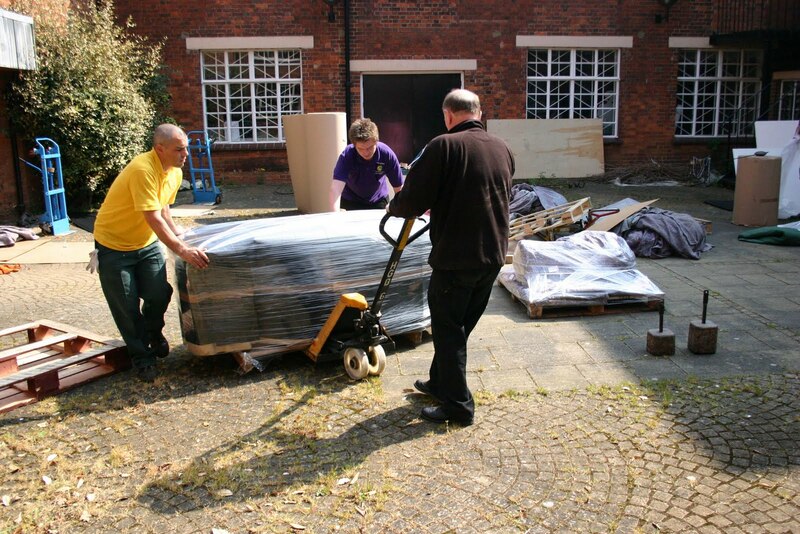 When the day came to move the sarcophagus even the experts were a little taken a back by its' sheer weight but with modern day pallet trucks and their experience the coffin was slowly manoeuvred out into the courtyard. Once there the packing could begin. 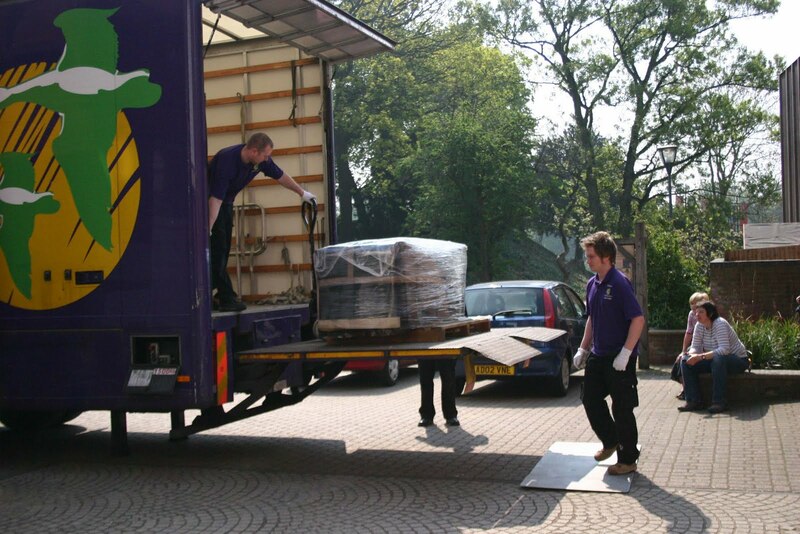 Amazingly the whole operation of moving, packing and loading was accomplished very quickly and painlessly. The sarcophagus then had a short journey to the stores where it is safely" parked" along side the variety of other objects. Though this brief tale may not seem very remarkable it becomes more exciting when you stop to think about it in more detail. Things like how and where was our stone coffin made? How was it transported to where it was used and lastly who was such a fine funereal monument made for? I find it amazing that such a large archaeological artefact such as this has survived so perfectly since Roman times. Where has it been all of these years? Often large stone items are reused and become damaged over time but this coffin is in near perfect condition considering its age. Trying to find out more about our objects is the next part of my job that I am looking forward to. We may be able to unearth some answers to our questions related to the wealthy Roman living on the countryside sometime in the 2nd century AD; but others I suspect will have to remain unanswered.